Hello Friends! 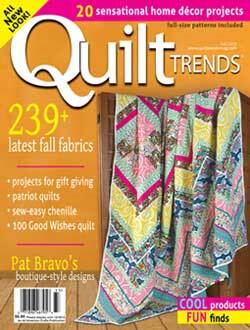 How many of you are familiar with the quarterly Quilt Trends magazine? It is a fun one if you aren’t familiar with the publication. 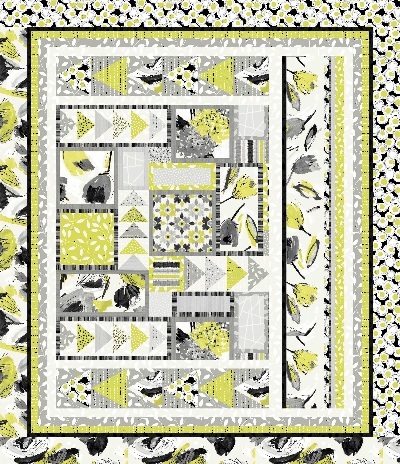 My Manhattan quilt is featured in the latest Quilt Trends Fall 2013 issue. 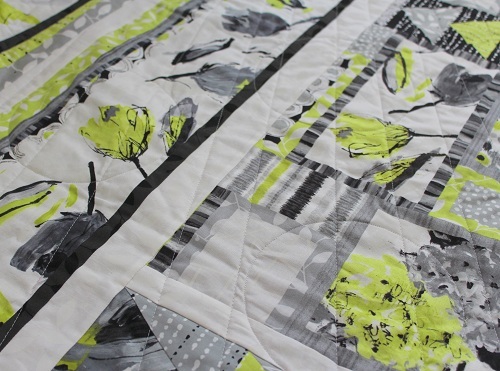 The quilt has the sophisticated look of cosmopolitan Manhattan, but the construction is not that sophisticated. 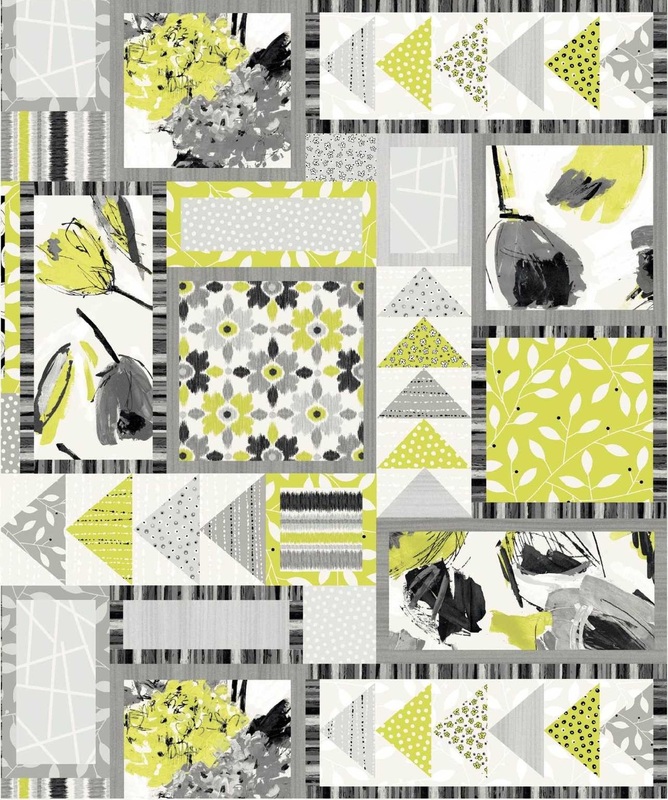 You see, part of the quilt center is a very very clever panel print from Benartex’s Cosmopolitan fabric collection shown below. See how cool it is? I was tasked with coming up with a design that uses that panel print! So I added the template pieced triangles, and a few borders for an overall asymmetrical quilt design. I like that this quilt can be displayed various ways – so, make sure you audition how you would like it displayed before attaching your hanging sleeve. Though not shown in the following schematics, the border pieces of the actual quilt sample are mitered. That was my first time (ever!) doing a miter corner all by myself. It was nerve-wrecking at first, but after all was said and done, it wasn’t too traumatic. Quilting was radiating straight line quilting over randomly quilted circles. Quilting was done using Aurifil Mako 50 Cotton over Hobbs Tuscany Silk batting. 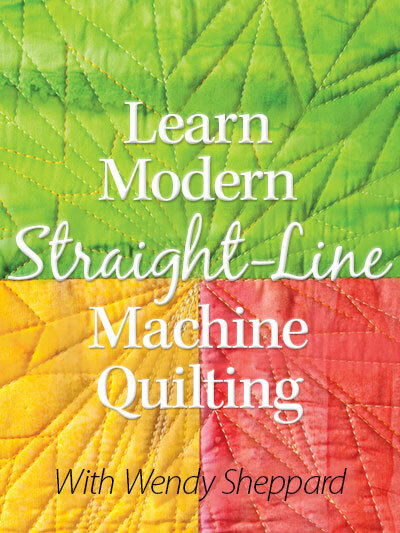 For those who feel self conscious about being able to quilt only straight lines, DON’T — why should you? 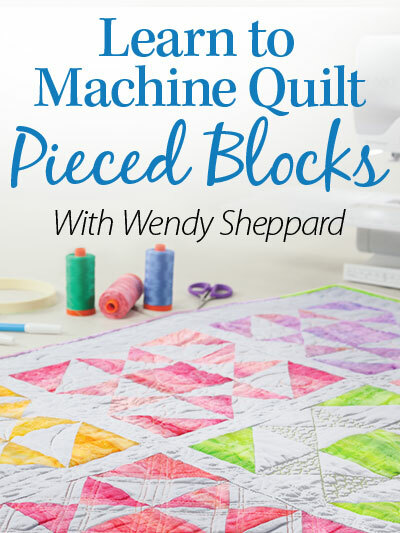 Sometimes with a bit of clever manipulation of your straight lines (like I have done with the radiating effect by varying the angles between lines) and simple geometric shapes, you can still quilt something interesting, eye-catching and fun! 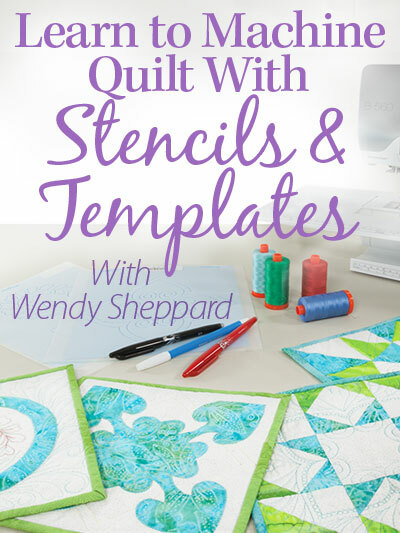 Click here to see how I normally quilt my simple geometric shapes. So, you are wondering what fabric collection I used for the quilt. 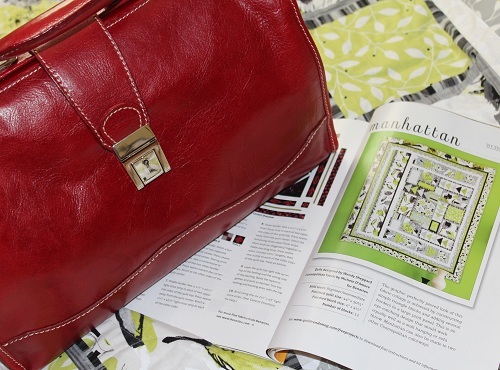 It is Cosmopolitan from Benartex. 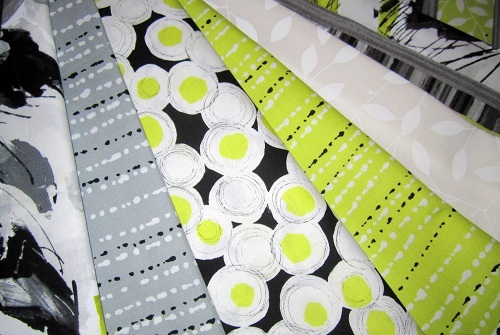 Click here to view the full fabric range. I love that two other colorways (blue and yellow) are offered in addition to the lime green. 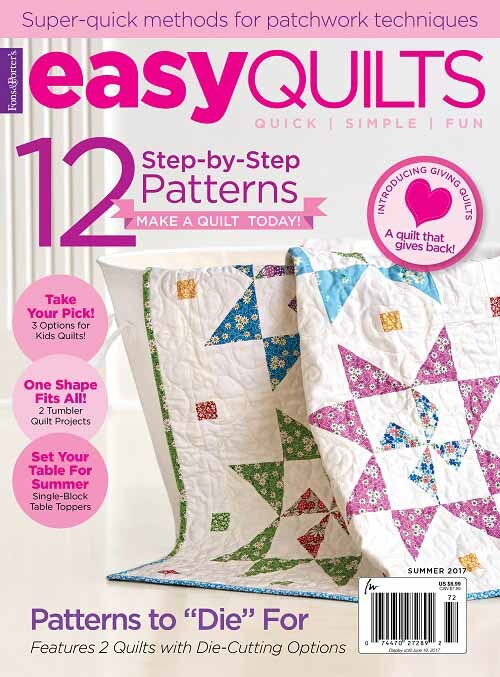 Quilt Trends is offering the pattern instructions as a free download on their website. Click here to download. Happy Monday, and I hope you have a lovely week! In case you have missed my other 2013 official features etc…. 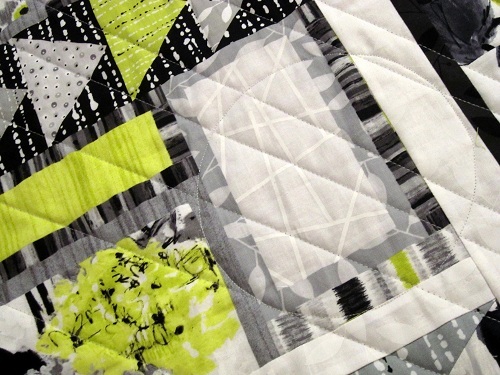 This entry was posted in Quilt Pattern, Quilting, Quilts & Projects: Published, Quilts: Pieced and tagged Benartex Cosmopolitan, Quilt Trends Fall 2013, Wendy Sheppard Designs. Bookmark the permalink. really pretty. I like the combo of the lime green and grey. 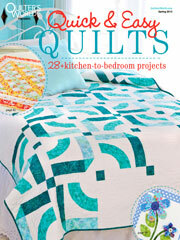 I do like the Quilt Trends magazine very much. 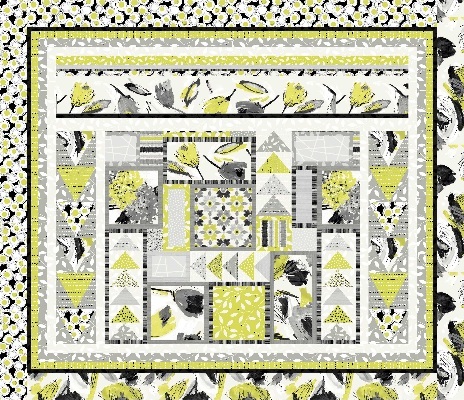 Congratulations for having you quilt “Manhattan” design published in it. 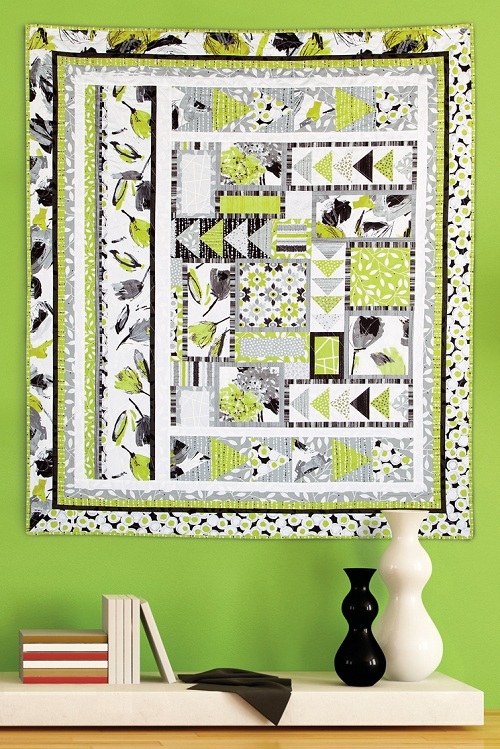 Beautiful quilt with a modern and refreshing feeling to it. Congratulations Wendy! You are so very creative. 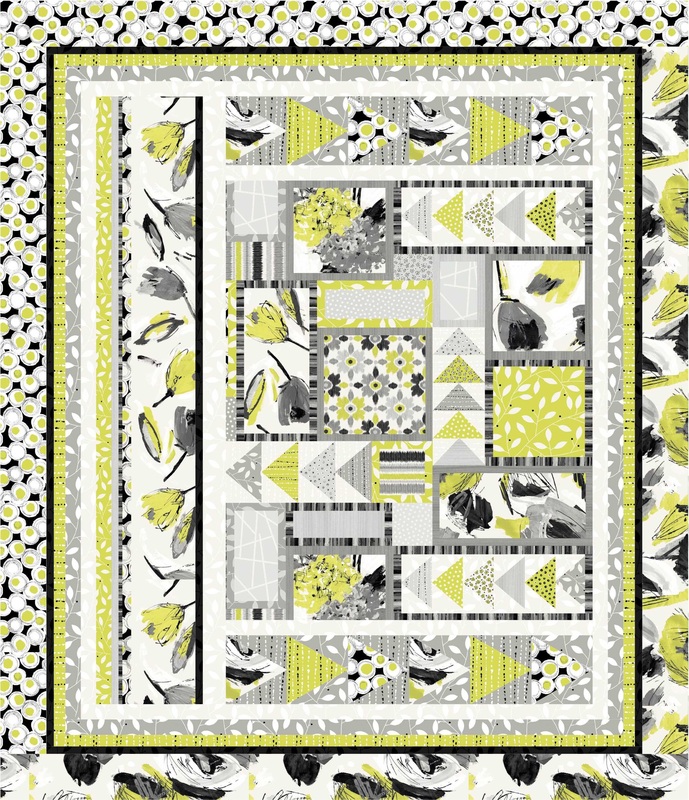 Do you use design software to help you with new patterns? 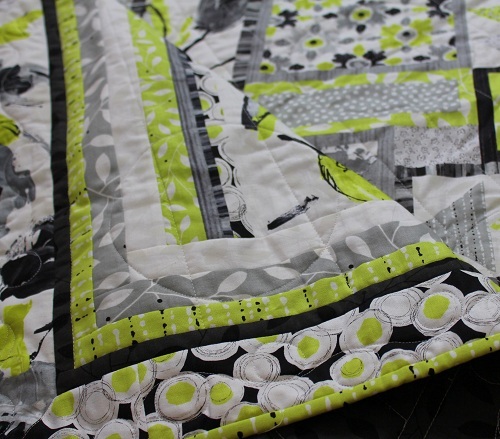 Love the quilt..
My copy is bookmarked. Thank you. You are a brave woman with those metered corners. NOT My favorite thing to do. ;). Headed to see my three grand daughters Wednesday. Can’t wait!!!! 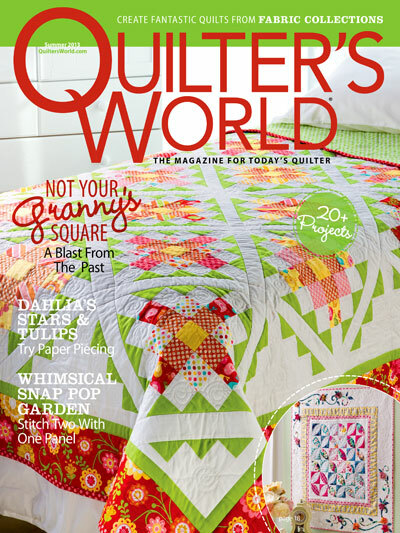 I will have to look for Quilt Trip on my weekly trip to the bookstore! It is lovely and you did a great job!! Very pretty! Especially hanging on the green wall! 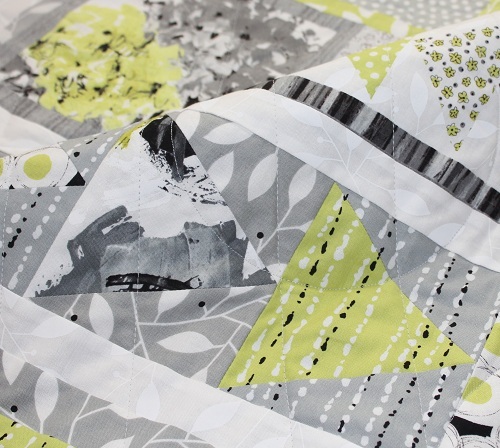 A very nice modern quilt! This leads me to a question, though – how does one hang a quilt on the wall? You mentioned a hanging sleeve – do you just run a curtain rod through it? And what if you have a quilt that doesn’t have one? Love it!!! I especially love to find different ways to treat panel prints. I have a few that have been gifted to me, as well as a couple I have picked up along the way. I hate to just add borders – to me that’s too close to cheating!!! *wink* So glad to have the pattern free from the magazine too.